The City of Cold Lake is seeking a qualified individual to fill the permanent, full-time position of Accountant with the Corporate Services Department of the City of Cold Lake. Reporting to the Finance Manager, this position is responsible for the efficient processing and reconciling of general ledger entries and general ledger accounts for the City of Cold Lake. This position reconciles monthly bank statements, ensures accurate monthly variance accounts to management, completes month-end processes, and provides assistance in regards to G/L coding and project costing. The Accountant assists the Finance Manager in providing guidance and support to all Finance Department staff to ensure smooth operation in the department and finance functions within other departments throughout the City. This position provides support to all departments and the public through exemplary internal and external customer service. The Accountant is responsible for reconciliation, follow-up, and compliance of grants for the organization and will assist managers in the maintenance of their grants, as well as assist with the preparation of yearend working paper. This position is also responsible for GST returns, tangible capital assets, project costing, grant portfolio, and assisting with insurance. The qualifications required for this position include a Bachelor of Commerce Degree in Accounting or related field and completion, or near completion, of a professional accounting designation (CMA, CGA, CA, or CPA). Preference will be given to candidates with a minimum of 3-4 years’ experience in accounting, preferably in a Municipality or Government setting. Applicants should have knowledge of the PSAB and Municipal Government Act. The preferred candidate will have strong organizational and computer skills, including Microsoft Office Suite, accounting and payroll software. Applicants should have a strong customer service focus, commitment to confidentiality, and communication skills. 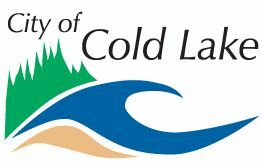 The City of Cold Lake will pay a competitive salary complete with an exceptional benefits package. Details of the compensation package will be discussed during an interview. The City of Cold Lake thanks all applicants; however only those short-listed for an interview will be contacted. This competition will remain open until April 28, 2019.